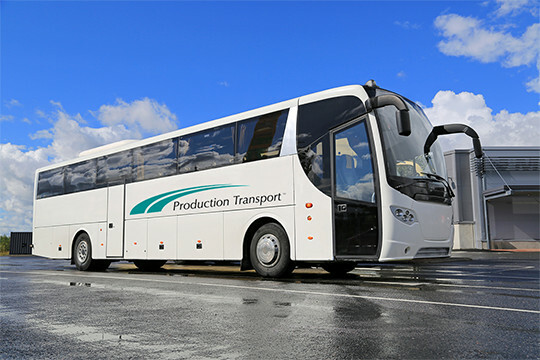 At Production Transport, we proudly provide excellent ground transportation in the form of shuttle bus services and VIP vehicle transport. Whether you need a limo service or a town car, such as a sedan or SUV, we can arrange for this service. We will take care of all the details from the booking of the VIP vehicle transport to scheduling, to the logistics and everything in between. Our experts take care of everything related to the mode of transportation you want so that you don’t have to worry about a thing. We are proud to provide excellent transportation services for large groups and VIP transport for CEOs and executives. VIP transport service can include a limo, an SUV or a sedan. If you are looking for executive transportation, we have the perfect solution for you. We will take care of all the details and arrangements so that you don’t have to worry about anything. With our VIP limo service, we will coordinate the time and locations for pickups and drop-offs, as well as all the other logistics so that you feel secure and confident that your transportation needs will be taken care of. We were founded in 1982 and have continued to provide exceptional service in ground transportation nationwide and in Canada. Our main goal is helping your group find the right mode of transportation that you need so that you can relax and enjoy your trip. Ready for a relaxing and reliable transportation experience?